We have the alternative to composite poles, the Direct Burial 5inch Direct Burial Camera Pole. Eliminates the extra cost for a civil engineer, no need for them to design, spend time and money on construction or long term maintenance. Eliminates the extra cost for the foundation with anchor bolts, and taking the chance of improper bolt projections or the possibility of inappropriate pouring/setting of the foundation. Eliminates the time and expense it will take to grout, or use leveling shims, or double nuts for leveling the pole. Eliminates the possibility of foundation and anchor bolt replacement in the event of a knockdown. 2. Wire the Pole: Complete wiring utilizing approved methods. 3. Install the Pole: In many cases, aluminum poles can be manually lifted into place and inserted into the hole. 4. Level the Pole: Use a plumb bob or level to align the pole. 5. Back-fill the Hole: Concrete is the preferred back-fill material, brace pole until concrete sets. The available colors are anodized bronze or powder coat white. 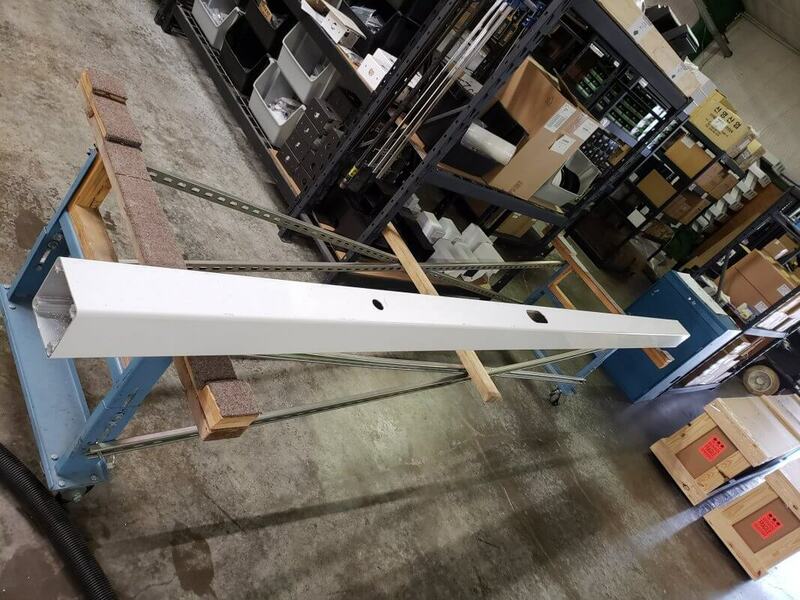 For more specifications on these Square Direct Burial Light Pole check out our website or contact one of our Sales Engineers here at StrongPoles toll-free 844-669-3537. This entry was posted in Blog, Camera Poles, Commercial Security Camera Poles, Security Camera Poles, Surveillance Camera Poles and tagged 5" Direct Burial Pole.